Brand New! My "Beginnings" Watercolor Series is Now Live in my Art Store! Come Celebrate with me as I share these new offerings! ​You can watch my Instagram Live Video as I share and celebrate this launch. In this video, I am Live on Instagram sharing my new "Beginnings" Watercolor Series that is now available both in my Society6 Store and in my new Redbubble. I share my watercolor story and why I'm so excited to now offer products that feature this JOY filled work. Beginnings Watercolor Series at Society6 and Redbubble. See Links Below! 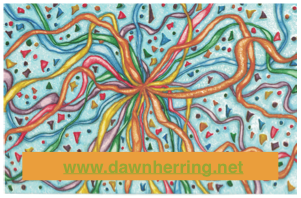 I'm really excited to share with you a new project I've created from my studio here at Refresh with Dawn Herring. As an artist, I'm always looking to hone my skills and tap into the places where I find JOY as I create. I've been keeping a personal written journal for over 30 years, and in the past 5 or 6, I've been engaging in creating what I call "doodles" each evening to summarize and encapsulate my days, giving honor to what I've experienced. I've taken these Doodles a step further and refer to them as Hand Lettering and Illustration since these doodles are based on words or phrases that have great meaning to me. I've always enJOYed hand lettering and doing these small pieces of art in my daily evening journaling time has given me space to play with composition, design, texture, pattern, and overall colorful impact to share my heart. 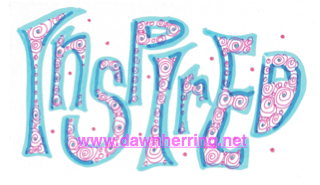 With my Design Series that I am offering for the Commercial Market, I'm taking the same encouraging, inspiring language I share here at Refresh with Dawn Herring and creating Dynamic Designs that you can purchase on product for personal use. Below you will find samples of these designs and products where each design is featured. Each link will take you to the Society6 page where it is located where you can purchase the products. 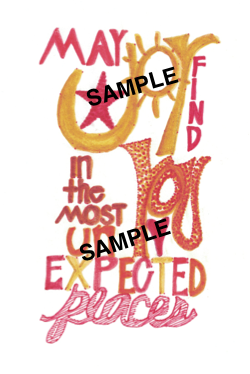 I am super excited to create these colorful inspiring designs just for you to lift your spirit and remind you to Find JOY every day. 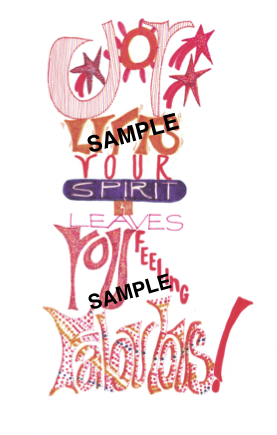 I trust these designs will make your days a little more colorful and Fun. NOTE: Each design has links below it for each product available featuring that design. ​If you're look for Wall Art, Please Click Here. If you're looking for furniture, Please Click Here. If you're looking for home decor, Please Click Here. ​If you're looking for bath items, Please Click Here. If you're looking for table top items, Please Click Here. ​If you're looking for stickers and stationery items, Please Click Here. ​If you're looking for tech items, Please Click Here. ​If you're looking for apparel, Please Click Here. My "Loose" Watercolor Painting now available in prints and products! Click on the "Loose" Image above to view the rest of my new "Beginnings" Watercolor Series now available in my ART Store! I am excited to share with you another ART Enhanced Resource at RedBubble where you can purchase clothing, home decor and more, thus providing you with more options than ever before! 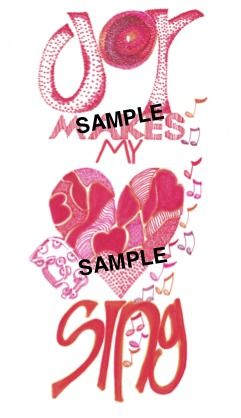 Click on this Inspired Image to access my Doodle ART where you can find stickers, buttons, keychains and magnets.